Around 40 students currently study the violin at the School and all of them will also gain experience at some point in their school careers of playing the viola in chamber or orchestral music. There is also a small number of students for whom the viola is their principal instrument, in most cases having previously studied the violin. Each week all students have two lessons per week from their principal teacher, either one or two lessons from an assistant teacher, and participate in a class lesson. In addition, some of the pianists receive one lesson in a stringed instrument each week as their supporting study, taught by one of the assistant teachers. Natalia Boyarsky graduated in Moscow under Professor Isaac Urovetsky, Maya Glezarova,Yuri Yankelevich, Felix Andrievsky and Mark Lubotsky. Natalia Boyarsky has appeared as a soloist and a chamber music player at the main venues in USSR. 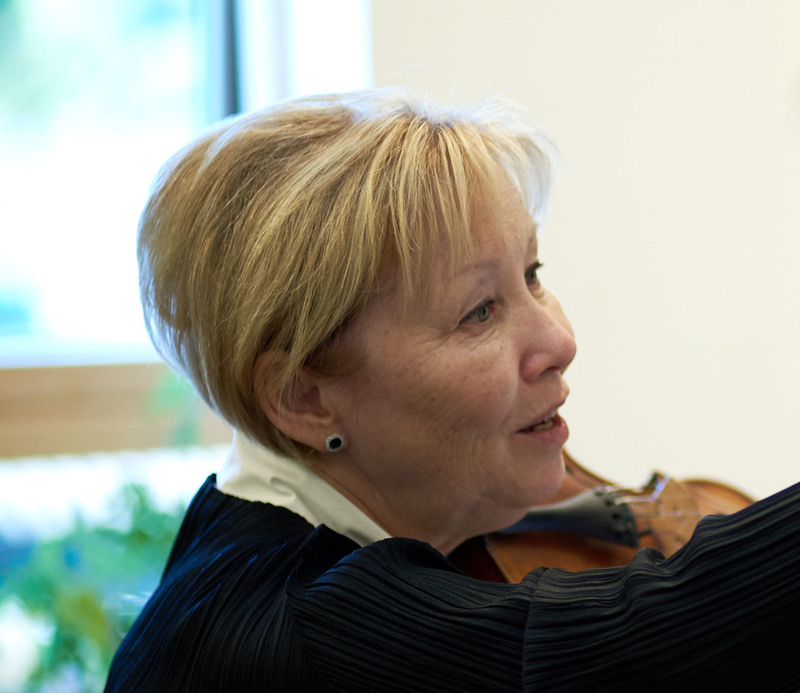 From 1965, N.Boyarsky began teaching the violin at the college and school, affiliated to the Moscow Tchaikovsky Conservatoire, where she was the Head of the String Department for many years. Natalia Boyarsky became an UK resident in 1991 when she was invited by Lord Yehudi Menuhin to teach at the Yehudi Menuhin School. In 1996 in parallel with YMS, she was appointed as violin professor at the Royal College of Music in London. Many of her pupils have won prizes at National and International Competitions won other awards and become soloists, chamber players and members of prestigious orchestras around the world. She has given master classes in England, France, Japan, Spain, Italy and Croatia and she was member of international violin competitions. Diana has given a number of solo performances in the UK, Lithuania, Netherlands, France, Italy and USA. Diana's recent engagements included performances at the Windsor Festival with the Philharmonia Orchestra and at the Vilnius Philharmonic Hall with the Lithuanian Chamber Orchestra broadcasted live by Lithuanian National Television. In November 2009 Diana made her USA debut performing Elgar's Violin Concerto with the Bakersfield Symphony Orchestra. Diana has also appeared with the Orchestre Symphonique de Montreal, Madeira Classical Orchestra, Royal College of Music Symphony Orchestra, The New Professionals Orchestra, Charkov Symphony Orchestra, Lithuanian National and State Symphony Orchestras which enabled her to work with conductors including Martyn Brabbins, Neil Thomson, John Farrer, Juozas Domarkas, Robertas Servenikas and Saulius Sondeckis. Diana's appearances include Wigmore Hall, Queen Elizabeth Hall's Purcell Room, St.James's Piccadilly as Park Lane Group Young Artist 2012 and live on BBC Radio 3. Diana has also given recitals in venues such as Cadogan Hall as part of the Chelsea Festival, Hall Pasteur at La Corum in Montpellier for the Radio France Festival in 2009, Chamber Hall of the Concertgebouw in Amsterdam, Theater Diligentia in the Hague and in 2004, to mark Lithuania's inauguration into the EU, represented her country at the Konzerthaus in Vienna. In 2010 Diana was chosen to represent the Baltic Nations at the U.S.-Baltic Foundation's Annual Gala held in Washington DC. Diana was born in Vilnius, Lithuania in 1984 and received her early musical education at the Ciurlionis Gymnasium of Art in Vilnius. 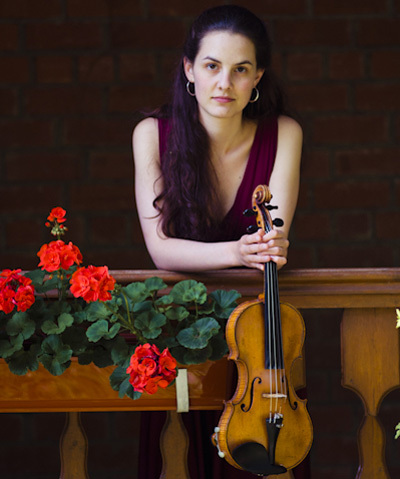 Since 2000 Diana studied with Prof. Natalia Boyarsky at The Yehudi Menuhin School and at the Royal College of Music in London obtaining a Masters Degree in Performance with Distinction. Diana has also participated in masterclasses at the Kronberg Academy, IMS Prussia Cove and the Holland Music Sessions, receiving coaching from Christian Tetzlaff, Shmuel Ashkenasi, Gerhard Schulz, Rudolf Koelman, Miriam Fried, Midori, Zakhar Bron, Mstislav Rostropovich, Petru Munteanu, Lewis Kaplan and Zvi Zeitlin. Diana is a prize-winner of 16 international competitions for young artists including becoming a laureate of the Jasha Heifetz International Competition in Lithuania and winning the Windsor Festival International String Competition in October 2009 which offered her two recitals for the William Walton Trust in Ischia, La Mortella. Diana was also a finalist in the Jeunesses Musicales Montreal International Competition and was awarded the prize for the best interpretation of the contemporary set work. In Denmark Diana was awarded the 'European Prize for Achievement'. Diana is a recipient of Sir John Barbirolli Memorial Foundation Award, Martin Musical Scholarship Fund Award, Hattori Foundation Award and Musicians Benevolent Fund Music Education Award. She is also a winner of the 2007 Philip & Dorothy Green Award for Young Concert Artists, awarded by the Making Music Federation. Due to her international performing success the president of the Lithuanian Republic, Algirdas Brazauskas, awarded Diana with a special commendation: "These awards are in recognition of your successful efforts in promoting our Homeland Lithuania throughout the World". 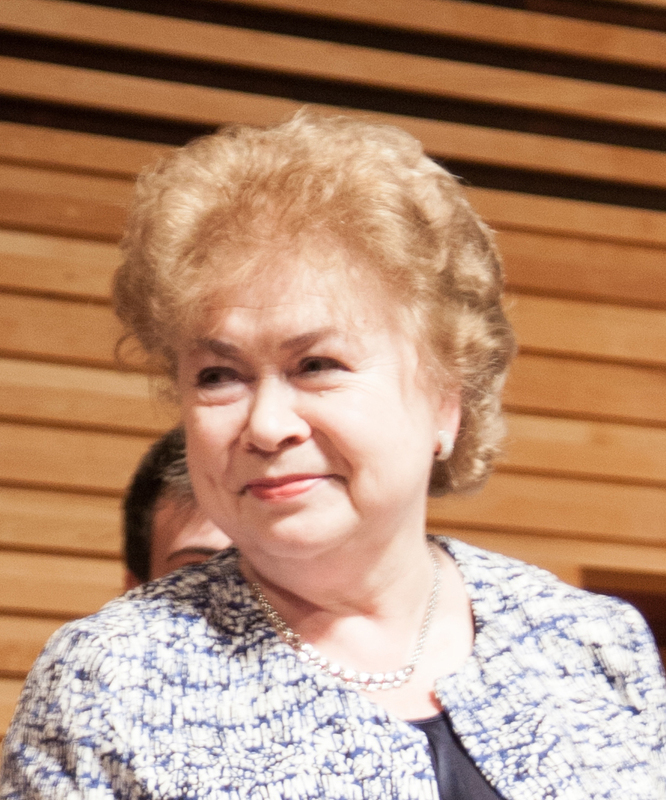 Lutsia Ibragimova began her studies in Moscow Conservatoire in 1972 and completed a postgraduate course with the distinguished professor Igor Bezrodny. From 1977-1991 she played with various Russian Chamber Orchestras and groups as a sectional leader and soloist, including Ricercar, Moscow Instrumental Capella, Moscow Academy of Ancient Music where she collaborated with musicians such as Sviatoslav Richter, Leonid Kogan, Gidon Kremer, Oleg Kagan, Natalia Gutman, Alexei Liubimov, Tatiana Grindenko and many others. In 1991 Lutsia started her teaching career both privately and as a guest teacher of The Gnessin Music Specialist School. In 1996 Lutsia moved to England, where she now teaches at the Yehudi Menuhin School and the Royal College of Music. Boris Kucharsky is a solo violinist, chamber musician, recording artist and teacher. He has played with major orchestras worldwide including the Slovak Philharmonic and Radio Symphony, Dortmund Philharmonic, Karlsbad Symphony, European, Vienna and Prague Chamber Orchestras as well as the Gulf Coast Symphony. Kucharsky collaborated with the legendary violinist Yehudi Menuhin, in performances of Bach's Double and Triple Concerto, and was soloist in Beethoven's Violin Concerto with Menuhin conducting. This series of concerts across Germany first laid the foundation for Boris Kucharsky's reputation as one of the most outstanding violinists of his generation. In the last 20 years he has performed extensively in chamber ensembles, (with members of the Munich and Berlin Philharmonic) and collaborated with pianists such as Melissa Marse, Per Rundberg, Elizabeth Hopkins and Helge Kjekshus in concerts across Europe, the US and Asia. He was also featured as soloist in numerous television and radio broadcasts for the Bavarian Radio Munich, Klassik Plus, WDR Cologne, BBC, Deutschlandfunk, Radio Stephansdom Austria, Slovak National Radio and Television, WQXR and WNYC, USA.Boris Kucharsky has recorded for Trevak, Ars, StarArts, Vipro Classic and KC Classics labels. His recording of all 10 Beethoven Sonatas, released in 2010, won widespread critical acclaim. Since 2008 he has performed all chamber works written for the violin by Bach, Mozart, Beethoven, Brahms, Schubert and Schumann. His repertoire spans from early baroque music to the great works of the 20th century. Recent performances have also included works by the Slovak composer Eugen Suchon, the Russian composer Alfred Schnittke, the contemporary American composer Robert Aldridge and the German composer Jörg Widmann. In 1999 Kucharsky's recording of Suchon's Violin Concerto "Fantasia and Burleska" was awarded "Best Classical Recording of the Year" by the National Slovak Radio. His recent recordings of the complete chamber music by Schubert won great critical acclaim. Fanfare Magazine wrote: “Boris Kucharsky plays the Fantasie on the first of the two albums possibly better than anyone I’ve ever heard. His tone is liquid gold. He is unfazed by the technical hurdles, and—I don’t know how else to say it—he makes the most beautiful music where others gloss over some of the score’s finer details in favor of its fireworks"
Kucharsky completed his studies for a Master of Music degree with the legendary violinist Erick Friedman at Yale University in 1997. Kucharsky and Friedman shared the stage on many occasions. A highlight was their rendition of Brahms's Double Concerto in 1996, with Erick Friedman conducting and Kucharsky and cellist Ole Akahoshi as soloists. As a teenager, Boris Kucharsky studied chamber music at the Yehudi Menuhin School in London with Peter Norris, Sidney Griller (Griller Quartet) and Hans Keller as well as with the Endellion and Chilingirian Quartets. From 1989-1994 he studied at the Musikhochschule in Cologne with Igor Ozim and was coached by the Amadeus and Alban Berg Quartet in chamber music. Boris Kucharsky has been on the faculty of the J.J.Cali School of Music at Montclair State University since 2008, where he teaches violin, chamber music and orchestral studies. From 2002-2008 he taught at Munich's Music Academy, a class for especially talented young violinists and received the L.O.B. award in 2008 for his extraordinary achievements as a violin pedagogue. He plays the "Baron Knoop" violin, made by Carlo Bergonzi in Cremona, 1735. Akiko launched her career after winning numerous prizes in prestigious competitions including first prizes at the Yehudi Menuhin (2000),Viotti-Valsesia (2002) and Forval Scholarship Stradivarius Japan (2003). She was also a laureate of the Concours Reine Elisabeth (2001), Paganini (1999) and Szigeti Competition (2002). Since then she has enjoyed performing with major orchestras such as the Weimar Staatskapelle, Belgian National Orchestra, Lille National Orchestra, Beethoven Academy Orchestra, London Mozart Players, London Chamber Orchestra, NHK Symphony Orchestra, Tokyo Symphony Orchestra, Polish Radio Amadeus Chamber Orchestra andLithuanian Chamber Orchestra, and collaborating with conductors including Hans Drewanz, George Alexander Albrecht, Shlomo Mintz, Saulus Sondeckis, James Judd,Paul Watkins, Matthias Bamert, Gilbert Varga, Christian Arming, Christopher Warren-Green and Yutaka Sado. Akiko made her debut with Yehudi Menuhin and the Essen Philharmonic Orchestra at the UNICEF Gala Concer tin Germany in 1998. In the same year, she was invited by Vanessa Redgrave, UNICEF Goodwill Ambassador, to perform at the UN Headquarters in New York to celebrate the 50th Anniversary of the Universal Declaration of Human Rightsw here she performed a Bach Partita.She has performed throughout Europe, the United States, Central America, North Africa, the Middle East and Far East.Venues include Wigmore Hall, Cadogan Hall, Royal Albert Hall, Queen ElizabethHall, Carnegie Hall, Konzerthaus Vienna, Tokyo Festival Hall, TokyoMetropolitan Hall and Palais des Beaux-Arts Brussels. Akiko sets great value in outreach activities and educational projects and has worked with the Red Cross,UNICEF and Live Music Now, as well as other institutions. She is one of the appointed artists of the Japan Foundation for Regional Art-Activities since 2006 and is a course leader of the Maiastra Chamber Music, based in Surrey. Akiko also leads the Orpheus Sinfonia which supports the finest young musicians emerging from conservatoires across Britain. Every summer, Akiko coaches and plays chamber music with Yutaka Sado’s Super Kids Orchestra in Japan. InJuly 2016, Akiko launched a new summer violin course Music Space at Fitzwilliam College, University of Cambridge, in partnership with Cambridge Summer Music. In demand as a soloist and chamber musician, Akiko is also invited as guest concertmaster by various orchestras such as the Scottish Chamber Orchestra and Nederlands Symphonieorkest. Her CD Favourite Violin Pieces, was released in 2008 with Ichiro Nodaira which has received rave reviews. In 2016, Akiko recorded her second album Romance, featuring works including Debussy, Stravinsky, Ysaye and Wagner which has been highly rated by top national music publications and newspapers. 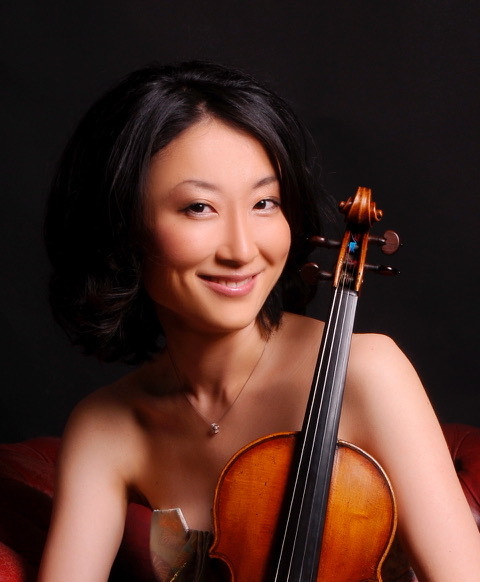 Born in Tokyo, Akiko moved to the UK when she was 12 to study at The Yehudi Menuhin School. She then studied with Dora Schwarzberg and Michael Frischenschlager at the University of Music and performing Arts in Vienna. Akiko is currently a Professor at the Guildhall of Music & Drama in London and The Yehudi Menuhin School. In September 2001 Elliott was awarded a place at The Yehudi Menuhin School, where he studied with Suzie Meszaros, Rosemary Warren-Green and Lutsia Ibragimova on the violin until Christmas 2008, when he changed to first study viola. 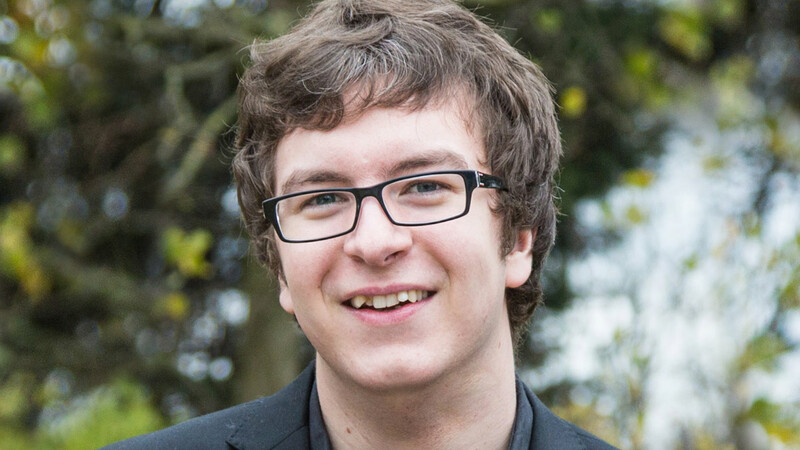 Elliott was a foundation scholar at the Royal College of Music in London where he studied with Andriy Viytovych. Elliott has taken part in numerous concerts as a soloist and chamber musician, performing in most London venues, including The Wigmore Hall, The Royal festival Hall, The Royal Albert hall, The Queen Elizabeth Hall, The Purcell Room, Sadlers Wells, Bradford Cathedral, Snape Maltings, Dorking Halls, The Cadogan Hall and numerous concerts in the Menuhin Hall. He also participated in a festival in Sweden with members of the Gothenburg and Stockholm Symphony Orchestras and Opera Houses. Recent engagements include playing Viola Viola by George Benjamin in the Purcell room and Mozart’s Sinfonia Concertante with Violinist, Oliver Cave and the Audeat Camerata in Hampstead. He has played many concerts across Europe, namely in Gstaad for the Yehudi Menuhin Festival and in Catalonia, where over the past few years, four concerts were recorded and broadcast on the radio. In 2012 Elliott was a participant of the International Musicians Seminar, Prussia Cove and attended ‘Mendelssohn on Mull’ with the Chilingirian Quartet. Last Summer Elliott joined the Castleton Festival with Maestro Lorin Maazel in Washington DC and played twelve concerts for the AIMS Festival in Spain. 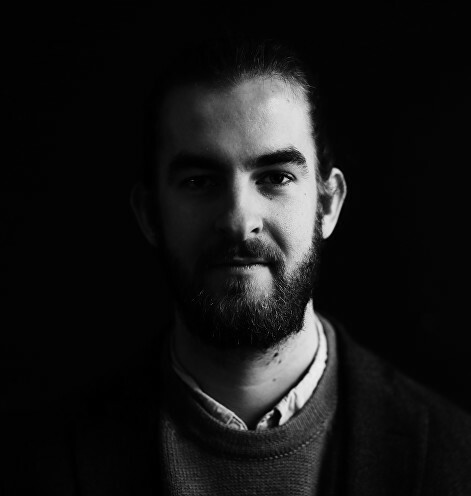 Elliott was a member of the LSO String Academy 2014.Elliott performs regularly with The Perks Ensemble, which he co-founded with his brother, Oscar and sister, Ursula in 2011. As well as a busy performing career, Elliott heads the Yehudi Menuhin School’s “Chance to Play” scheme at Cobham Free School, working with a team of YMS’s current pupils to provide music lessons to one hundred and twenty local children. In October he accompanied his students to Lancaster House in London to perform for the Prime Minister, David Cameron, as well as the Secretary of State for Education and representatives of each of the UK’s free schools. 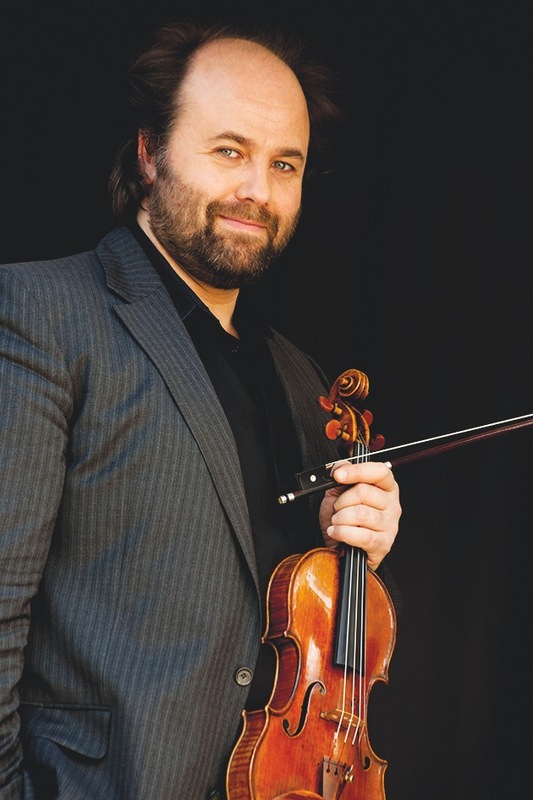 Oscar Perks enjoys a varied performing career playing both violin and viola. He is the second violinist of the Dante Quartet, works as an assistant violin teache rat the Yehudi Menuhin School and also pursues an interest in composing and arranging. Having started playing the violin at the age of five, Oscar was awarded a place to study at the Yehudi Menuhin School three years later where he had violin lessons with Hu Kun and Simon Fischer. Oscar went on to read music at Gonville and Caius College, Cambridge, where he studied composition with Robin Holloway. During his time at Cambridge, Oscar performed the Mendelssohn and Tchaikovsky violin concertos with the University Music Society,led the University Chamber Orchestra and was also invited to perform alongside the Endellion String Quartet as a second violist in concerts at West Road Concert hall. He gained his masters with distinction at the Royal College,where he studied with Lutsia Ibragimova. Oscar has performed at many leading London venues such as the Wigmore Hall, Barbican, Royal Festival Hall and Kings Place; and has also performed live on radio three. He is regularly visits IMS Prussia cove open chamber music and took part on Prussia cove autumn tour of England last year.His composition for string quartet The Twin Towers (2001) also won the BBC Guardian young composer competition and was premiered at the Wigmore Hall.Oscar is also a founding member of The Perks Ensemble, a flexible chamber group he co-founded along with his brother and sister. Tereza Privratska graduated from Prague Conservatory under the tutelage of Jindrich Pazdera in 2006. She then moved to London to study with Maurice Hasson and Jack Liebeck at Royal Academy of Music, completing a BMus with honours and a MMus with distinction. A very sought-after solo, chamber and orchestral performer, Tereza is a prize winner of several international violin competitions, including the Kocian International Competition in the Czech Republic, and The Talents for Europe in Slovakia. At age 13, she performed Vivaldi’s Double violin concerto with legendary Josef Suk in Prague’s Rudolfinum. Other appearances include the Prague Spring International Festival, and solo recitals in Europe and North America. She is the founder and first violin of the award-winning Jubilee Quartet, who performs regularly in venues and festivals internationally; with London appearances at Wigmore Hall, Conway Hall and Purcell Room. Tereza is a devoted violin and chamber music teacher and is currently undertaking a PhD in string quartet pedagogy. 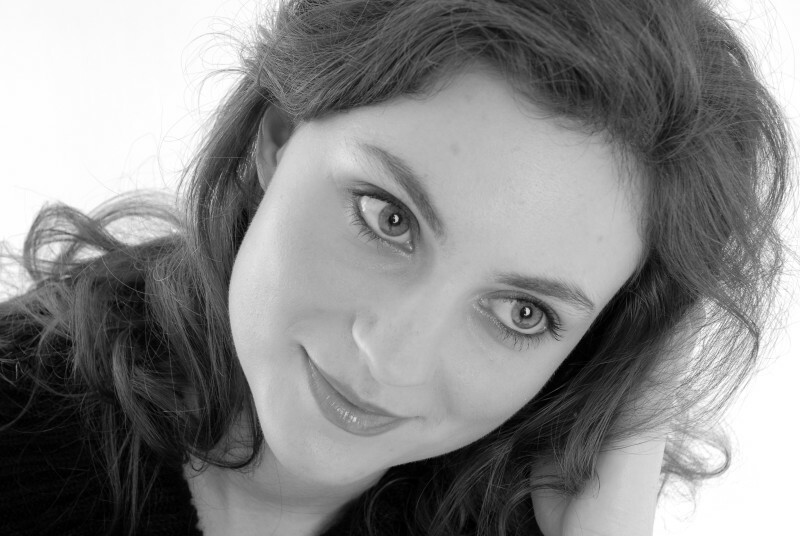 Anna Ziman graduated in 2016 with a first class BMus (Hons) degree from the Royal College of Music, London, where she studied with Natasha Boyarsky, supported by the Henry Wood Award. Anna is an annual attendee of a summer school in Italy - Civica Scuola di Musica - where she studies with her current professor Natasha Boyarsky. She also recently participated in a masterclass given by Alina Ibragimova. Anna has given several solo performances in venues including the Rachmaninov Hall of Moscow State Conservatoire and the Concert Hall of Slobodkin Center in Moscow. She has been invited several times to perform at the Poetry Evenings in the Tsvetaeva House Museum as well as giving solo recitals there twice a year. Currently she is studying for her MPerf at the Royal College of Music with Natasha Boyarsky where she is generously supported by the Abel Halpern & Helen Chung-Halpern Award.